Opossum problems are an unfortunate reality for many folks in the Fort Worth area; inhabiting garages, attics, or just about anywhere that offers shelter. Opossums have a tendency to become aggressive if they feel threatened, which is why we advise against trapping these creatures on your own. In addition to bites and scratches, opossums are carriers of parasites and diseases that can harm you and your family. 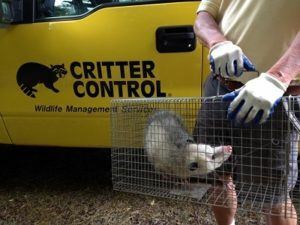 The well-trained and experienced technicians at Critter Control® of Fort Worth uses only the most effective trapping methods to ensure that your opossum problem is eradicated for good. We begin by thoroughly inspecting your property for signs of nesting, damage, and frequently used paths to determine the size and location of your infestation. From there, we eliminate your opossum problem with our humane yet highly effective trapping methods. Once we’ve removed the offending critters from your property, we are able to seal any holes or entry points to help ensure you don’t run into issues down the road. Keep trash cans securely closed or keep them in the garage, as opossums are attracted to the easy source of food. Ensure all garden hoses are drip-free and there is no standing water around your home – opossums love the easy source of water. 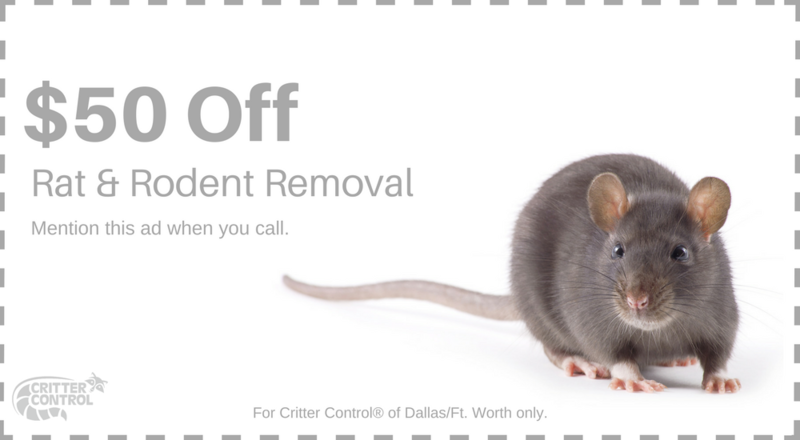 If you’ve seen signs of opossum activity in or around your home, give the experts at Critter Control® of Fort Worth a call today at 469.805.6267 or fill out a Contact Us form.